← SPECIAL MONTHLY COMPENSATION–WHAT IS IT? An official history from the Army provides some intriguing information about blood supplies that may provide hints about why certain HCV strains are prevalent in Vietnam veterans–and why hepatitis C is endemic in Vietnam veterans. At first, blood sources came from Asian donors and military donors. Then came a big change. Blood was collected by 42 donor U. S. military centers designated by The Surgeons General of the Army, Navy, and Air Force and shipped by air to Asia. Only American military personnel (and military-related persons) donate blood to American forces in Vietnam. “For the first time in U.S. military history, every unit of whole blood used to support the war was donated free of charge by military personnel, their dependents, and civilians employed at military installations. 1. First Asian blood > transfused into injured American forces in Vietnam. 2. Then only American military personnel blood (and related persons)> transfused into injured American forces in Vietnam. My lay theory: Transfusion-based chains of blood-borne infections occurred because after 1966, the system became, please excuse this word, incestuous, since no military-related civilians were donors. It was a closed system. 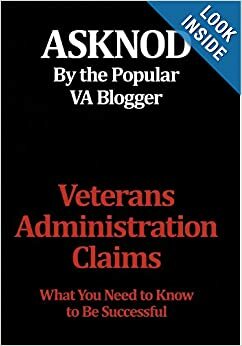 This entry was posted in Guest authors, HCV Health, Medical News and tagged ASKNOD BOOK, asknod.org, asknod@wordpress.com, DIY vA Claims, Gulf War Claims Help, HCV Decisions, HCV Health Tips, HCV Veterans, HCVETS, Help with vA Claims, Help with vA HCV Claims., Helping Veterans, Korean War Vets Help, Service Connection, VA HCV Claims Help, Veterans claims help, Vietnam Veterans Claims Help.. Bookmark the permalink. Yes, they knew. The VBA will lie about anything to protect the government interest, and they are rewarded heavily for it. I was permanently damaged in Vietnam and I received the gamma globulin too, the day after being stuck thousands of times by mosquitoes in the Mekong Delta. I wound up between the mosquito infecting me, other parasites infecting me, the poisoned unchecked gamma globulin, Agent Orange ingestion, causing 50 issues or more, including stroke, brain lesions, CAD, blood disease, Undetermined Organisms in my lungs and blood, Blood Disease, COMA, Near Death numerous times, Liver Disease, Bloody and Dark Urine, malignant cancers, eye damage, eczema, enlarged painful prostate, Chrinic Lung Infections, Bone Degeneration, Spinal Stenosis, Calculi of the Aorta and kidneys, Coagulation Disease, and dozens of intentional tumors to name a few, AND THE VA SAID I NEVER COMPLAINED IN THE SERVICE. 47.5 years later Atopic Dermatitis is granted at “0%”. That’s my VA. Thank you for alerting us to this valuable article. I’ve been trying to learn more about blood products like Factor VIII and Sylvia got my attention with gamma globulin. And Nod with his yellow vaccination book! My vet received a gamma globulin vaccination in Vietnam, according to his med. records. That, I thought,,would be good evidence for HCV risk factor. But when I search the BVA recent decisions using the keywords, “HCV, hepatitis, and gamma globulin” I noticed that there is strong resistance by the VA judges to acknowledge it. However, I found some damning info. on the FDA website that I’ll I try to get up on the weekend. 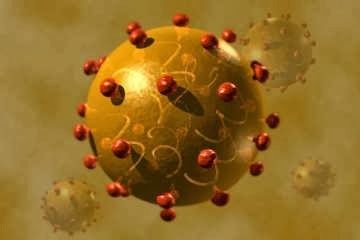 The British government has been forced to help people who received HCV from contaminated blood products. U. S. Federal agencies formed a strong phalanx with regard to HCV for many years now. I believe that there may be some allies in state public health agencies. Sanitary conditions do not always come to mind when facing an enemy hell bent upon your destruction. So many different ways to pass diseases along and pass they did. The basic premise was to save lives at all costs and worry about the tiny critters later. Yes, this is a dramatic image. Such young people doing their best with whatever they had on hand in a very challenging environment. this hep c from korea small critter my foot .I have lived 7 years with my husband who was un knowledgably infected .then unknowingly carried it for 30 yrs and shared it with friends and love ones and then physically and mentally faught it to his death. question for me is did the military know what they were doing then ,why not admit it stop it fix it and prevent it from spreading to millions of civilians its like a woman being raped and the mans defense is she said yes . outraged disabled widow fighting for sc benefits for my husband myself and all veterans and their familes .